This Gallery is a case study of one of our completed projects [End of April 2011] for a client in Prestatyn, North Wales - 8 Pictures in this Photoset. 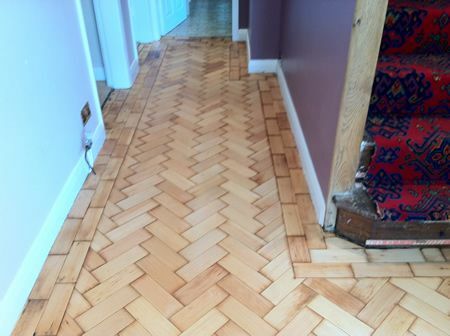 The Columbian Pine parquet wood block floor in the properties Main Entrance Hallway was not in the best condition having been under carpets for many years. 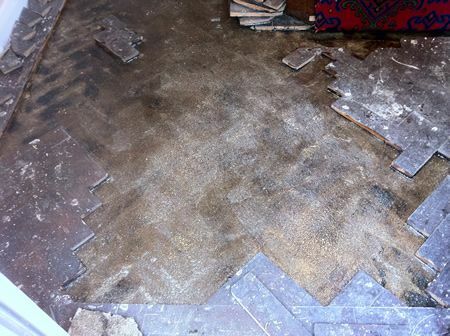 The client had uplifted the carpet and called and asked us to do a site visit to ascertain what could be done. 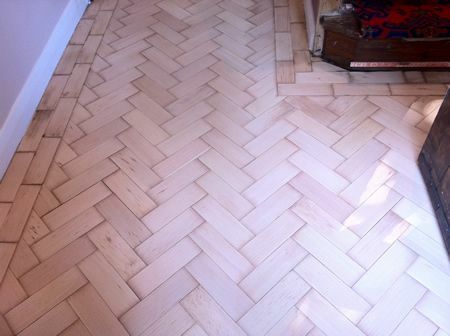 Most of the Columbian Pine Parquet Blocks were loose and needed re-fixing back into their original positions. 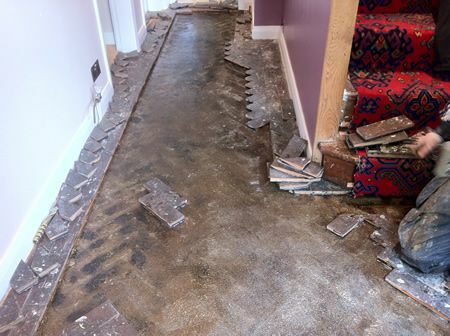 The loose blocks were uplifted and set aside, then the concrete subfloor was given 2 coats of Lecol PU280 liquid moisture barrier, and then left to dry, then the blocks were scraped/cleaned and then re-fixed back into position using Lecol 5500 specialist flooring adhesive. 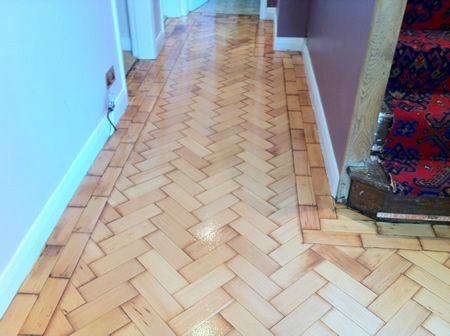 The area was left for 48hrs for the adhesive to properly dry and cure, then we gave the Hallway the Full Woodfloor-Renovations Sand & Seal treatment, using the excellent Lobadur WS Easyprime and Lobadur WS Viva lacquers, and if we say so ourselves the finished article looked superb. 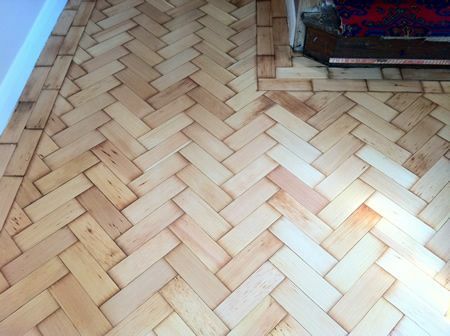 Parquet Block Floor Repairs in prestatyn North Wales Virtually this whole Columbian Pine parquet Block floor was loose and in need of a full repair. 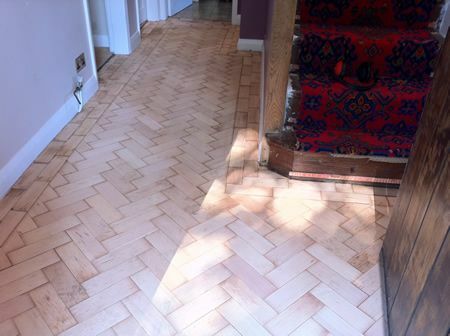 Columbian Pine Wood Block Flooring Repaired in North Wales by woodfloor-Renovations Another view of this Entrance Hallway. 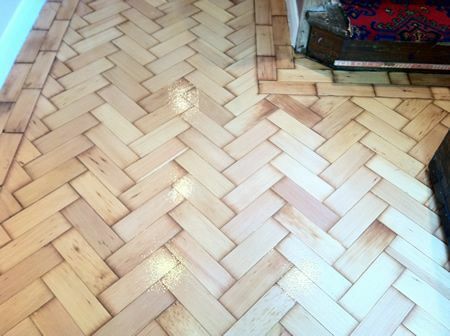 Floor Sanding and Parquet Flooring Repairs in North Wales All done and completed.